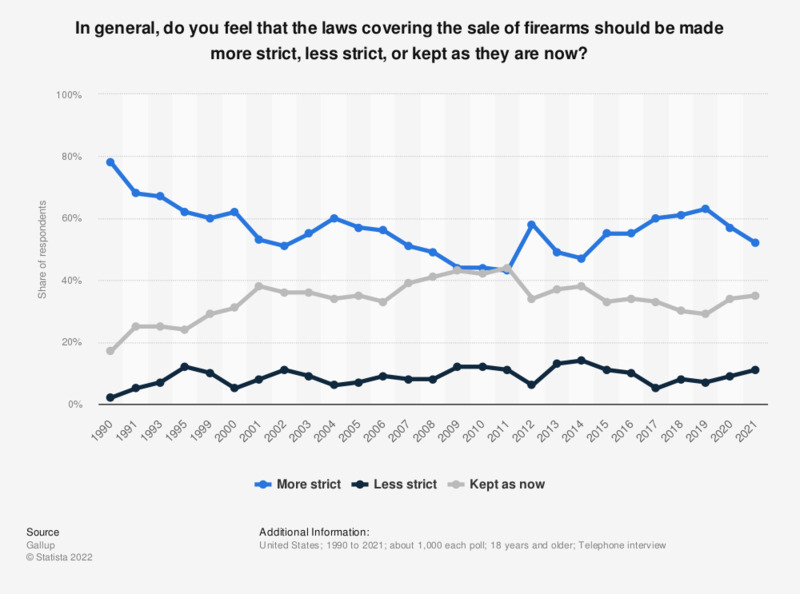 This statistic shows the opinion of Americans on whether the laws covering the sale of firearms should be made more strict, less strict, or kept as they are. The survey was conducted on a regular basis from 1990 to 2018. In 2018, about 61 percent of the Americans felt that the laws covering firearms sale should be more strict. The missing percentage points to 100 percent are due to the possible answer "No opinion" which is not depicted here.